These bankruptcies have left thousands of people in a panic about what to do with the gift cards they hold to these merchants. As the economy worsens, more retailers are expected to go out of business. So, how do you protect yourself from ending up with a gift card that you can no longer use? If your gift-card issuer files for bankruptcy, the first thing you should do is call the nearest store to find out if they are still accepting gift cards. Companies that file for bankruptcy can petition the bankruptcy court to allow them to continue the redemption of gift cards, as seem recently with Linens ‘n Things and Steve & Barry's. If they are still accepting gift cards, you should use your card immediately. In some cases, the company may not allow you to redeem the full value of the gift card, which is what happened with The Sharper Image bankruptcy, where gift-card holders were only allowed to redeem about 50% of their card value. If the company is no longer accepting gift cards, there are a few other options available. In some cases, the competition may accept your gift card. A quick search on Google news will give you information about whether competitors are running special promotions targeting gift-card holders of the bankrupt company. For example, when The Sharper Image went bankrupt, competitor Brookstone offered Sharper Image customers an instant 25% off Brookstone purchases in exchange for their Sharper Image gift card. Also, when Bennigan's went out of business, competitor Texas Roadhouse started a promotion where holders of Bennigan's gift cards could exchange them for a free entrée certificate that was good for any item on their menu. While these promotions may not help you redeem the full value for your card, they do offer the opportunity to get some of your money back. Another option is to file a claim against the assets of the company with the bankruptcy court. Information on how to do this can be found on the company's website. When you buy a gift card, you are essentially giving the issuer an unsecured loan until you redeem the full value of the card. Should the company go bankrupt and decide not to honor gift cards, you can file a claim with the bankruptcy court like any other creditor. However, since gift card holders are unsecured creditors, they fall at the bottom of the pecking order by which creditors are paid, which means that your chances of getting all your money back are slim. For local and small businesses that go bankrupt, a better option is to petition the office of your state Attorney General to see if they can get the owners of the business to honor outstanding gift cards. A recent success story out of Missouri is a good example. In that case, a local spa in the St. Louis area, Spa 151, suddenly went out of business, leaving several hundred gift card holders with worthless gift cards. More than 300 consumers filed complaints with the Attorney General's office alleging that they held gift cards that could not be redeemed. The Missouri Attorney General was able to get the former owners of Spa 151 to pay up to $103,000 to redeem the cards and certificates. 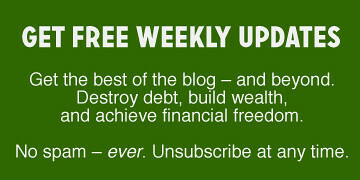 There are also steps you can take proactively to protect yourself from ending up with a bunch of worthless gift cards. The most important advice is to pay attention to what is going on with the gift card issuer. This is by no means asking you to become an expert in analyzing the financial statements of these companies. However, if this is a shop that you visit often, you will get a sense for whether or not they are doing well. If you are always the only one shopping at the store, that should tell you something. Also, store closings and layoffs are clear signs that all is not well with the company, and perhaps, you should not buy a gift card from that retailer. For example, if you currently hold a gift card from Circuit City, I strongly urge you to use it now! There is a real possibility the company may have to file for bankruptcy, and you don't want to be left with worthless gift cards. Kwame Kuadey is the CEO and Founder of GiftCardRescue.com, a site for selling and swapping gift cards. Kwame is also author of GiftCardBlogger.com. There are 16 reader responses to "Gift Cards and Bankruptcy: What To Do When Stores Go Broke". I was wondering what happened to Linens and Things. And Circuit City, really? Wow. I guess they have competitors that are really raking in the customers from them. The lesson seems to be that compared to gift cards, cash is King! I guess I’d feel better getting an AMEX or Visa gift card, but the most recent example of the latter that I received was issued through Wells Fargo, and who knows where they’ll be in a year? Or AMEX, for that matter? I’ll take dead Founders any day. I concur, the REAL lesson is to not buy into the whole gift card scheme. Why lock someone into purchasing a gift at a specific retailer? Why do people think gift cards are so much more personal than cash/check?!?!!? LNT was always a joke to me, anyway. 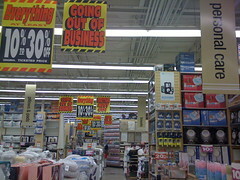 Regarding the demise of LNT: one of the problems LNT encountered was that Bed Bath and Beyond (BB&B) accepts their competitors coupons, even the expired ones. When asking LNT employees if they would accept BB&B coupons, they looked at me as if I had two heads. But, about two years ago, LNT did start accepting competitor coupons; by then it was too late because consumers became loyal to the store that provided the most options for savings. BB&B rocks! As for AMEX and Visa gift cards, beware. Use of these is notoriously hamstringed by hidden fees that subtract from the value paid by the gift card purchaser. In effect, the recipient gets less than what the giver spends. Without LNT, BB&B has one less competitor, albeit an identical competitor. That loose coupon policy will probably go away quietly and suddenly. I guess I can see CC going under soon too, but I’m not surprised when I find myself going to BB more that CC (that is when I actually go there now). All these type of stores popped up in the mid-90’s anyway, so it was only a matter of time when the consumer recognized that we didn’t need two different stores that sold, for the most part, identical items at the identical retail prices. The only difference being when occasional sales (ie. $100 off a TV) would occur. Financially, I still don’t get the purpose of a gift card. I somewhat understand the convenience factor and how its supposed to make it look like you put some thought in to the gift. But, with a gift card, your locking that gift-recipient into buying something they may or may not want from a specific store. Why not give cash? The only benefit I see in gift cards is in a city like Pittsburgh where there is one huge grocery store chain (a ‘Giant’ monopoly) which now sells gasoline. By purchasing gift cards for just about any store at the grocery store and while using your store-advantage card, you accumulate points for a gasoline discount. So if you need to buy $1000 in gift cards, you can buy them from the grocery store and get a $2 or so discount per gallon of gas purchased from that store-gas station (which are convienently located alongside regular gas stations). This could also be why food prices there are more money than in NJ where there are like 3-4 major grocery store chains. I also recognize that ‘feeling’ of when you walk into a store a see how no one is there, its not tidied up, and the stocks on the shelves are low. Or when you ask a sales associate for help and they disappear to the stockroom until you go away. I immediately think that ‘this’ store won’t be around for much longer and usually I’m right. I’m sad to hear that Circuit City is teetering on the brink now too. One thing I really like about their website is the live local store inventories it displays. That helped me find the one store–and I mean the ONE and ONLY store–in the Seattle area that still had a Wii during the height of the Wii frenzy last year. I was able to purchase it online and have it held for pick-up, instead of having to call or run to every electronics store in Seattle in a fruitless hunt. However, the customer service in the actual stores was less than stellar, to say the least. There’s more than once I waited at a cash register for somebody to take my money, then gave up, left the merchandise on the counter, and went elsewhere. I never liked gift cards anyway because it always felt like you had to spend more on something that is not even a personalized gift. You could always buy things that are cheap but look expensive or things with sentimental value that makes price insignificant. With a gift card though, you have to put at least $20 on there and any less makes you cheap but how much more do you really want to put on a gift card when you aren’t sure if the recipient is even happy with it? It’s also a big waste because most people don’t use up the change that’s left on them when its a few dollars or cents. I always enjoy getting Barnes and Noble giftcards. At a big holiday like my birthday or Christmas, if I get cash – I’m likely to use a small percentage of the cash to get something I’ve wanted – but most of that money gets worked into our monthly budget and eventually used for groceries or savings or gas or debt payment, etc. With a B&N gift card – the giver is telling me – hey – I know you like to read books and I know you like to buy books – I want you to be able to do this, but I don’t know what book to get you – so here’s $25 for you to make your own selection. That way – the money is used for something (a gift) rather than just as extra cash. Thanks for the tips and info on the stores that are closing down. I also suggest to everyone to not give anyone a gift card as a gift. Just give them cash or a check. That way they can use at more then one place and not be out anything if the store closes. From CNBC and the utter desperation that’s filling my email inbox every morning (I swear Coldwater Creek is one email away from paying me to take some of the sale merchandise), I’d also say to avoid gift certificates to most mall/”lifestyle center” based women’s apparel stores as well. They’re not as bad off as Circuit City but I wouldn’t be surprised to see selective store closings, which would make gift cards harder for the recipient to redeem. In defense of gift cards, I give them to people who, if given money, would buy something mundane and forgettable. I like to give something fun and memorable by forcing them to shop at certain places that I know sell things they would like and will still have 5, 10 or more years from now. I’m not a big fan of gift cards but I occasionaly give my mom or dad a restaurant gift card. They don’t eat out a lot but this gives them a chance to celebrate since I live in a different state. If I gave them cash, it will just go in their monthly budget. I hope Best Buy goes bankrupt, too. I know too many people who have had bad experiences with them–to me it’s not worth saving a few cents if you’re treated like garbage. My stepmom and her boyfriend (post-divorce) were assaulted behind a BB after having serious problems with the staff on a car stereo installation. The manager who witnessed the whole thing played dumb afterward. I don’t blame them for the assault but the way they acted all sour grapes afterward was completely unprofessional. I heard of another person who was arrested by the Secret Service at a Best Buy for paying in $2 bills. The staff thought it was counterfeit money! I can’t believe Bennigan’s is bankrupt. I feel so sad now. I used to visit there with friends when I was in the Army in the mid-90s–their Monte Cristo was killer. I prefer to buy people actual gifts to getting them gift cards. I don’t understand why people don’t take more time to be thoughtful. You don’t even have to spend a lot of money for it. Even when I left a job years ago because I was moving, my co-workers pooled money and bought me actual gifts. I feel like, if you know me that little that you can’t imagine what I would like, just buy me a greeting card and I’ll appreciate it just as well.